New Sony Blu-ray players revealed in Vegas this week will feature Wi-Fi capability and lower MSRPs. 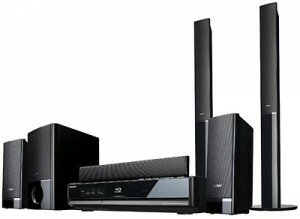 Blu-ray home theater systems will also go wireless with S-AIR wireless technology. 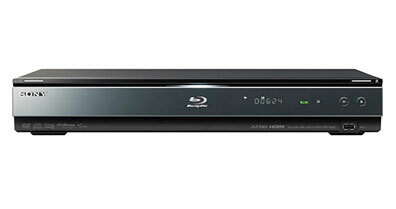 The BDP-S360 ($300) and BDP-S560 ($350) Blu-ray players deliver 1080/60p and 24p True Cinema output. The players can also upscale standard DVDs using Precision Cinema HD. Both players can access BD-Live content using Wi-Fi Protected Setup and are Digital Living Network Alliance (DLNA) ready for connectivity with other DLNA devices. Audio specs on the BDP-S360 and BDP-S560 include support for 7.1 channel Dolby TrueHD and Dolby Digital Plus, DTS-HD High Resolution Audio, and DTS-HD Master Audio decoding. A 5.1-channel component home-theater system, the HT-SS360 ($350), was also announced which supports 1080p video and high-resolution audio. Two home theater systems announced include the BDV-E300 ($600) and BDV-E500W ($800) which deliver 1080/60p and 24p True Cinema output, as well as decode the latest advanced audio codecs including 7.1 channel Dolby TrueHD. Wireless S-AIR technology on the E500W transmits signals up to 164 feet away. The E300 can be upgraded to S-AIR with an optional compoent. Support for iPod, Network Walkman, and Bluetooth is included. Both systems are also BD-Live capable. The BDP-S360 and BDP-S560 will ship this summer (no exact month given.) The HT-SS360 will be available this May. And, the BDV-E300 and BDV-E500W ship in June.